Electronics have invaded the kitchen in full force… and we love it! Incorporating electronics and other technologies into your kitchen isn’t necessarily about having the latest blue-tooth controlled Instapot; rather it’s about integrating technology that will enhance and simplify your daily life. 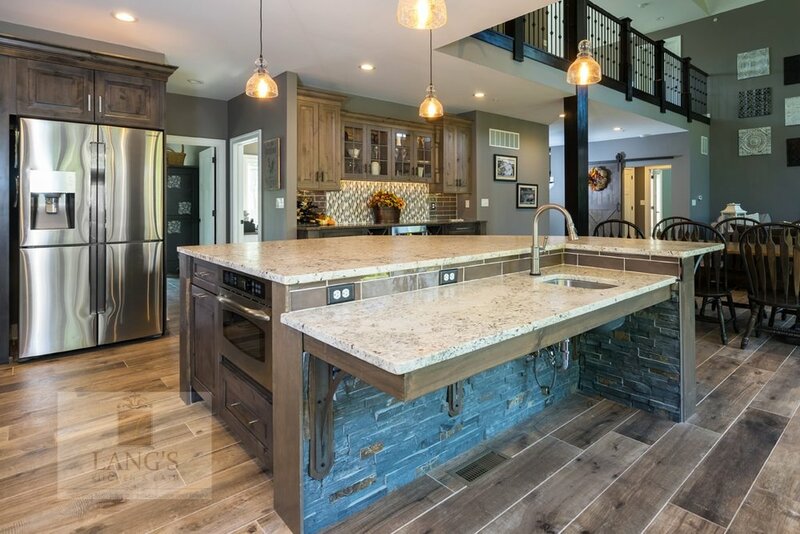 To help you determine what electronics to add to your kitchen remodel, we created a list of options that will transform your kitchen into a functional and enjoyable space. Add access holes to the countertop to increase access to electronics in your kitchen. Not only will they hide the cords, but they’ll offer you a variety of access points to electricity. Power strips increase the amount of available outlets for charging your appliances and devices. They can be installed anywhere including a charging drawer or a wall unit. You can also get lighted power strips, which are ideal for underneath your kitchen cabinets or countertops. We all love our electronics, but hate leaving the cords in a tangled mess on the counter. A dedicated drawer with a power strip, specifically for charging your phones, tablets and other devices, provides the perfect kitchen storage solution. You could also transform an under-utilized kitchen cabinet into a charging station by adding a wall charging unit. If a charging drawer or station won’t work for your space, install USB receptacles, which use the USB charging cord without an adapter to charge your tablet or Smartphone. These handy gadgets leave the electrical outlets free for other kitchen appliances. Your electronic devices don’t just charge in your kitchen anymore. Now they help run your home, and running the kitchen is no exception. Imagine being able to turn on the lights from outside, so you don’t walk into a dark house or coordinate mood lighting for a party from your Smartphone. From overhead lighting to colored accent lighting to illumination under the cabinet – there are lighting options for every style and budget that will enhance your kitchen design. Who doesn’t love to dance in the kitchen? Installing a sound system as part of your kitchen remodel offers you the convenience and joy of your favorite tunes while you prepare your family’s dinner or bake a cake for a party. Now you won’t need to leave the room to change the song or turn up the volume – you can just do it from your Smartphone or table. You can also add speakers to other rooms in your house, allowing for a seamless transition of music from room to room. Many small appliances now have built-in touch screens or connect to an app on your phone, making them more effective than ever. Manufacturers of larger appliances have taken a note from their counterparts and are now integrating apps into larger appliances like stoves and refrigerators. Companies like LG and Samsung have launched refrigerators that connect to apps. LG’s SmartThinQ fridge lets you check on it via phone, so you can ensure it is working properly. The Samsung's Family Hub fridge has a touchscreen that will display your calendar and play music. The inside contains cameras that will take images of the food inside or show you the feed on your smartphone, so you can see what you need to buy at the grocery store. A Wi-Fi-enabled crockpot connects to the Wi-Fi and is monitored via a Smartphone. You can use an app to adjust temperature and timing, as well as turn it off and on. These are ideal for busy people. You won’t have to worry about cooking your family a fresh meal, since you can control it from the office! Everyone needs their morning java, so why not start a remote brew while you get a few minutes of extra sleep in the morning? Many of these machines offer other features, like ordering more coffee capsules from your tablet or monitoring your supply of coffee and sending push notifications if your reserves are low. Lang’s Kitchen and Bath offers design solutions that enhance your lifestyle. For more design inspiration or kitchen storage ideas, visit our design gallery or Newtown showroom today!